"Without his help and guidance there would not have been an AC/DC"
George Young — an Australian musician, songwriter and record producer known for his work with AC/DC and the Easybeats — has died. Young passed away Sunday (October 22), with AC/DC soon confirming the news in a statement. He was 70. Born in Scotland in 1946, Young moved to Australia as a teenager where he formed the Easybeats. He is credited as a co-writer of the band's "Friday on My Mind," which has been covered by David Bowie, Bruce Springsteen and the E Street Band, Peter Frampton and more. After the Easybeats disbanded in 1969, Young and bandmate Harry Vanda formed Albert Productions alongside Ted Albert in 1973. As in-house writers and producers for the label, Young and Vanda began working on records by Australian rockers Rose Tattoo, Cheetah and AC/DC, formed by George Young's younger brothers Angus and Malcolm Young. Starting with AC/DC's debut album, 1975's High Voltage, George is listed as co-producer with Vanda on the hard rock icons' T.N.T., Dirty Deeds Done Dirt Cheap, Let There Be Rock and Powerage. It was also George Young who suggest AC/DC recruit singer Bon Scott after firing Dave Evans in 1974. Young also produced AC/DC's Stiff Upper Lip without Vanda in 2000. 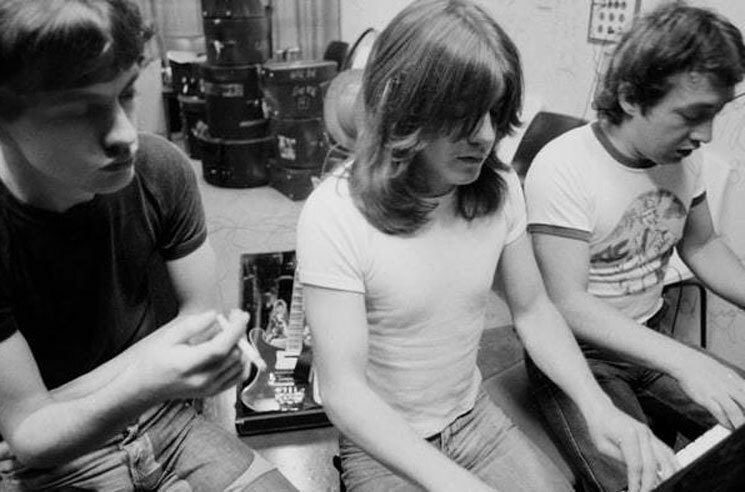 As the band wrote in their statement, "without his help and guidance there would not have been an AC/DC." "As a musician, songwriter, producer, advisor and much, much more, you could not ask for a more dedicated and professional man," it reads. "As a brother, you could not ask for a finer brother. For all he did and gave to us throughout his life, we will always remember him with gratitude and hold him close to our hearts." Read the band's complete statement below.